Valter Tennis Academy Teaching Pro Accomplished High School #1 player, team leader, coach and Garden Grove League Champion with a love for tennis and teaching kids. James Ly joined Valter Paiva Tennis Academy as a Coach in 2017. He was born and raised in Garden Grove, CA. He has been playing tennis and competing since he was 13, James played for Garden Grove High School all 4 years where he was ranked #1 in the Varsity Doubles. 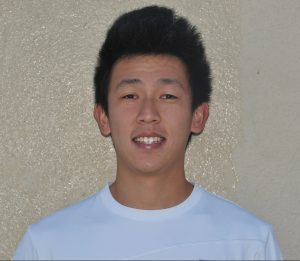 James was also a 2-time Garden Grove League Champ in Doubles, Varsity team captain, 3-time CIF team Quarterfinalist, and CIF team Semi-finalist. He also coached at Garden Grove High School for two seasons.